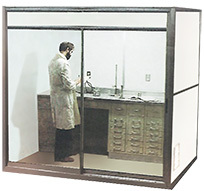 Modular workspaces constructed to meet specific laboratory needs. pre-engineered modular construction for fast delivery. Dedicated work environment features an all-glass modular construction, distinctive high tech angled upper panel. 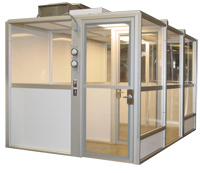 Temperature controlled room enclosures are engineered to maintain precise environmental conditions. HEMCO modular rooms are engineered and built to meet your exact size and design specification. 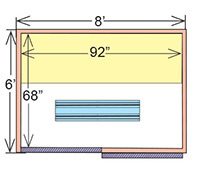 Wall panel options are available to meet thermal, chemical resistance, sound, and fire rated requirements. Roof / ceiling systems can provide load-bearing capacity or be suspended for overhead supply plenums. 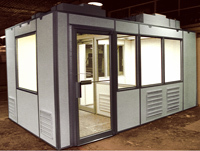 Modular room systems are a cost and time effective answer to your enclosure needs. The pre-engineered design allows you to immediately put a facility into use and quickly adapt with minimal installation and costly down time. 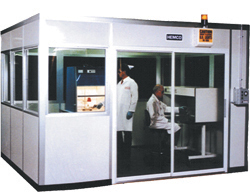 Modular workspaces are constructed to meet your specific laboratory specifications. Dedicated work environment featuring an all-glass modular construction with a distinctive high tech angled upper panel. 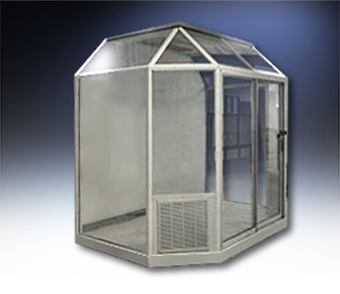 Controlled room enclosures are engineered to maintain precise environmental conditions. 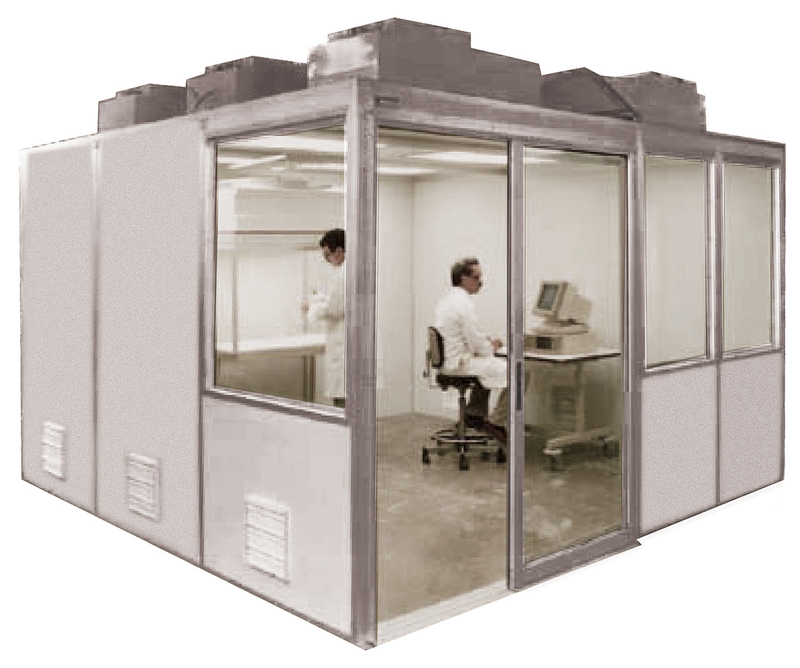 HEMCO ModuLab room structures are innovative, pre-engineered modular laboratory workspaces that are built to your exact process, size and design requirements, for ventilation and safety. 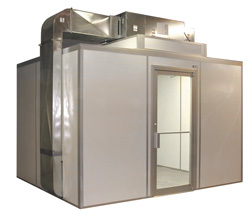 The Modular Clean Lab features a pre-engineered modular wall panel system that is a cost effective and time efficient alternative to traditional construction. 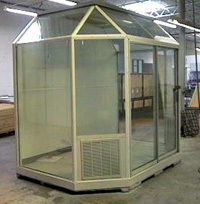 It gives you a fully equipped, high quality enclosure that is easily expanded or relocated as needs change. 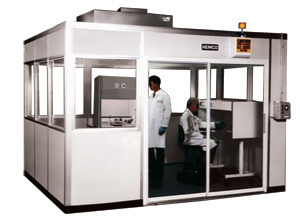 Determine where the room should be located, assemble the Modular Clean Lab, connect services and start your process. 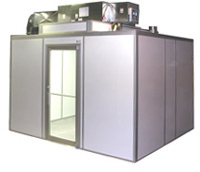 The Modular Clean Lab can fit a wide range of applications. Wall panel options are available to meet thermal, chemical resistance, sound, and fire control requirements. Room roof panels can offer load bearing capacity and suspended ceiling systems are available for pressurized overhead supply plenums. 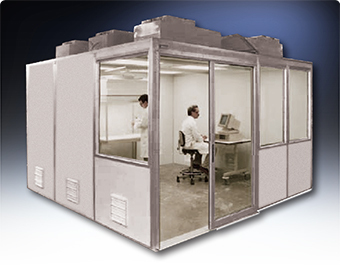 Modular Clean Labs can be shipped knocked-down to fit through a standard doorway for easy on-site erection. If desired, it can be shipped pre-assembled for turnkey operation complete with laboratory fume hoods, furniture, and all component equipment to meet your laboratory requirements. Rooms include: laboratory base cabinets, countertops (yellow), fluorescent lighting (blue), and slide entry door (purple). Request a tech data sheet for room specifications. *If a Fume hood, sink or HEPA filtered supply is required, consult Factory for details. 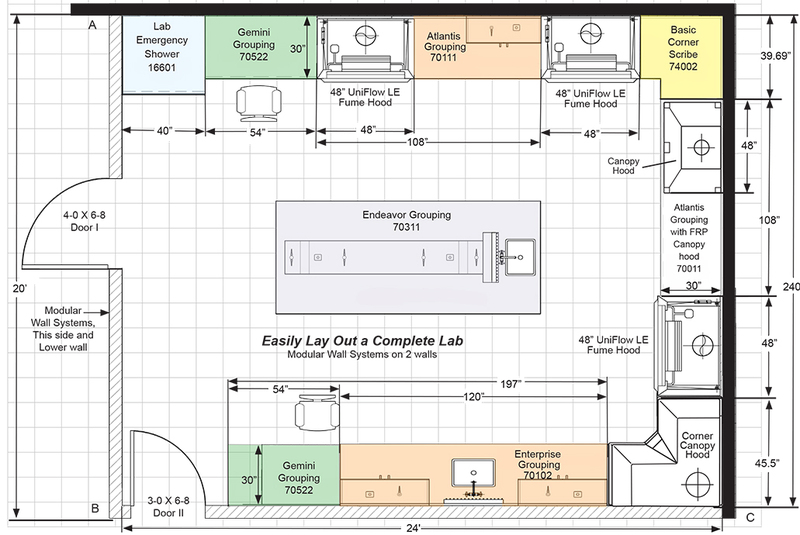 The HEMCO Plan-A-Lab enables you to conveniently lay out your lab furniture and your pre-engineered modular clean lab structure to enclose and regulate the lab work area. 1. 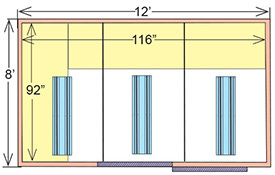 Determine the dimensions of the area (wall to wall) where the proposed lab furniture will be located. 2. Position the countertops in desired location for optimal work flow efficiency and ergonomics. 3. Remember to allow a wider dimension of 42” for aisle width. Higher traffic aisles require a wider dimension. 4. Locate water drain and supply locations for required sink placement. 5. Decide if backsplashes, rear curbs, or island reagent shelves are required. 6. Specify the style of grouping or individual cabinet selection. 7. 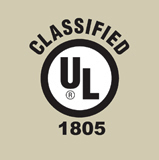 If utility services are required, such as electrical services, service fixture keycocks, DI or cold water faucets, and safety services, please locate their placement on the benchtops. 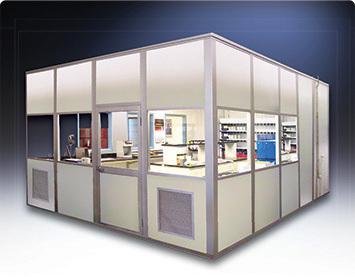 Should a modular room structure be required to isolate the lab work area from a surrounding warehouse or production area, follow these steps. 1. Specify inside dimension requirements, verify available height clearance above the room, and verify the distance to the roof above. see above diagram. 2. 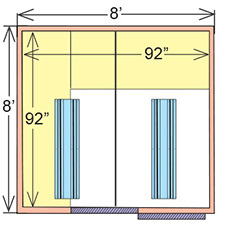 Determine the number, type, and size of doors required and whether windows are needed. 3. If air conditioning is required, please detail the number of people, heat load of proposed lab instruments, ambient surrounding temperature, and the desired location for HVAC (e.g. floor, wall, roof, etc.). 4. Advise the class of clean room and if an airlock will be necessary. 5. Consider if the proposed lab can be accessed from a dock area.